IntelLiDrives, Inc. releases new multi-axes platform for laboratory automation applications in pharmaceutical and life science industries. IntelLiDrives, Inc. has released a new Cartesian Multi-Axes Robotic System designed as a platform for many laboratory automation applications including micro-plate dispensing, pipetting, liquid handling, clean room packaging and many other robotic applications in pharmaceutical and life science industries. Standard configurations include left or right handed XY, XYZ, and XZ systems. Stages can be side or base mounted with elevation raisers and base platform with shock absorbing footers. Installation of the optional rotary table is available. The integrated cable management system includes connectors for easy disconnect of customer cables, air lines and fluidic valves. This robotic system covers travel area 800 mm x 600 mm with a vertical axis travel up to 200 mm. Optional rotary table can be installed for 4-axes capability. Repeatable to 5 microns, system is capable of 600 mm/sec velocity to provide high-throughput. 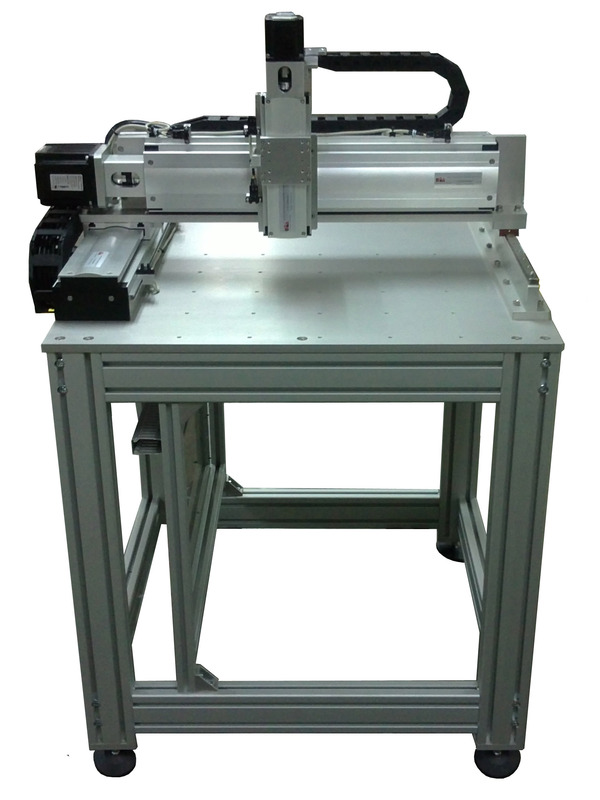 Robotic platform is available in T-style arm or H-style gantry configuration with payload capacity of 50 Kg. Turn-key solution is available with pre-cabled multi-axes drives and motion controllers.